Total weighted votes of each party in the six elected houses. The ruling party has the highest number of party votes in the electoral college for elections to the office of the president scheduled for September 4. The Pakistan Tehreek-i-Insaf is now the only party with members in all the elected houses. 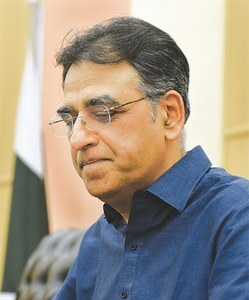 It has a total of 251 votes of its party members in the 706-vote-strong electoral college and its tally goes up to 314 if the votes of members of its allied parties — the Balochistan Awami Party, Grand Democratic Alliance, Pakistan Muslim League, Awami Muslim League, Balochistan National Party, BNP-Awami and Jamhoori Watan Party — are also counted. 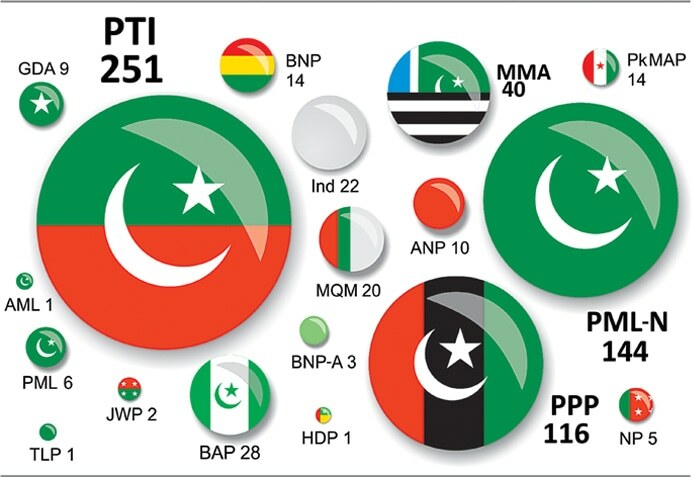 On the other hand, the joint tally of the Pakistan Muslim League-Nawaz and Pakistan Peoples Party comes to 260 and if votes of the Muttahida Majlis-i-Amal, Awami National Party, Pakhtunkhwa Milli Awami Party and National Party are added, it climbs to 321. Theoretically, a joint opposition candidate has chances of winning, but it will have to seek support of the Muttahida Qaumi Movement (20 votes) and the 22 of the independents. The MQM had voted for the PTI candidate in the election of prime minister, and of the independent votes, 15 are of senators who had defeated the PML-N candidate in the election of Senate chairman. It is likely that most of these 42 votes will go in favour of the ruling party candidate, Arif Alvi, making him unbeatable. In this scenario, whether the opposition is able to field a joint candidate or not, the PTI will take the top seat. The electoral college for presidential elections comprises the Senate, National Assembly and the four provincial assemblies. While every senator and member of the National Assembly has one vote, the four provincial assemblies are assigned an equal weight with the smallest, the Balochistan Assembly, serving as the base. The Balochistan Assembly has 65 members while the strength of the Khyber Pakhtunkhwa Assembly is almost double this number, i.e. 124; so the vote of a member of the KP assembly has half the value of the vote of a member of the Balochistan Assembly. According to the rules, the votes polled by a candidate in Punjab, Sindh and Khyber Pakhtunkhwa assemblies are multiplied by 65 and divided by the total strength of that house, i.e. 124, 168 and 371, respectively. The values obtained are then rounded off. In other words, each provincial assembly has a maximum of 65 votes in the college. Adding to these the strengths of the National Assembly (342) and Senate (104), the total size of the electoral college comes out to be 706. But a number of seats in all the houses are vacant at present. 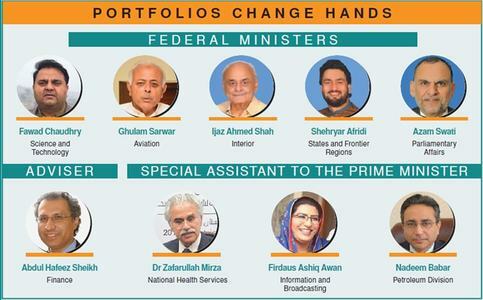 The Senate currently has two members short of its full strength as PML-N Senator Nematullah Zehri had resigned to contest provincial assembly election and membership of PML-N Senator Ishaq Dar was suspended by the Supreme Court in May this year. Similarly, elections to two national and six provincial assembly seats were postponed, mostly owing to death of a candidate, and then 31 seats have been vacated by persons winning on more than one national and/or provincial seat. By-elections on these 39 seats are scheduled to be held on October 14, i.e. after the presidential elections. Re-polling in one KP assembly constituency has been ordered for September 10 as polling there fell short of the minimum legal limit for women’s turnout. The notification of results has been withheld by the Election Commission of Pakistan for two Balochistan Assembly seats pending court cases. The PTI has been allocated seven of the nine seats reserved for women from KP in the National Assembly, but its list provided names of only six; thus one PTI seat in the National Assembly is vacant. The same is the case with two women seats won by the PTI in the Khyber Pakhtunkhwa Assembly. These vacancies will be filled on September 16. Counting all of these vacancies, the electoral college for presidential elections currently stands at 679; rounding off process for votes polled in three provincial assemblies, however, may lead to a difference of one or two seats. The simple majority in a two-candidate race thus requires 341 votes. In a three-candidate contest, the requirement for victory will go down substantially depending on how the votes are split. Importantly, the election of president is held through secret ballot and since the post is constitutionally non-partisan, cross-party voting does not constitute ‘defection’. Though in the present situation the ruling party can emerge victorious through its own votes and those of its allies, the votes polled by each candidate will have political meaning beyond victory in this election. Officially, there are 32 independent senators at present, of whom six were elected in 2015 and the rest 26 this year. There is, however, a catch here as 14 of the senators elected as independent candidates on March 3 had actually filed their nomination papers as PML-N candidates. But the party tickets were issued by Nawaz Sharif who had been disqualified as a parliamentarian and prime minister but was continuing as the party’s president. Days before the Senate elections on February 21, the Supreme Court had disqualified Mr Sharif as party head and nullified all his decisions in that capacity, including award of tickets to party candidates. This threw the PML-N out of the Senate elections. The ECP, however, allowed the PML-N candidates to contest the elections as independents. We have counted two independent senators from Khyber Pakhtunkhwa, two from the federal capital and ten from Punjab as PML-N voters in this table. Nehal Hashmi was elected senator on a PML-N ticket in 2015. 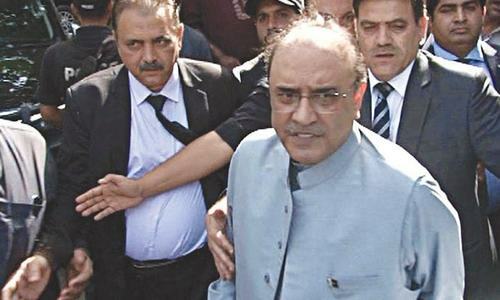 He was disqualified in February by the Supreme Court for contempt of court and was accordingly de-notified as senator. The party ticket for his replacement also got annulled after the SC decision to disqualify Mr Sharif as party president. So the senator who filled this seat for the rest of Nehal’s term is also officially an independent. The party tickets of two candidates of the Pakhtunkhwa Milli Awami Party were also rejected on technical grounds and they too are registered as independents. 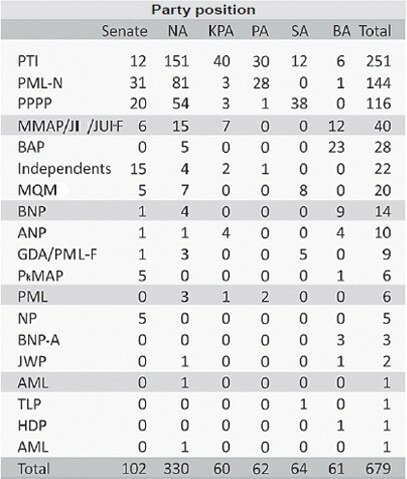 So of the 32 senators officially categorised as independents, 15 belong to the PML-N and two to the PkMAP. The Muttahida Majlis-i-Amal had been dissolved before the 2013 elections and its two main components, the Jamaat-i-Islami (JI) and Jamiat Ulema-e-Islam-Fazl (JUI-F) participated as separate parties but joined hands again as MMA before the 2018 election. So while the JI and JUI-F members in the national and provincial assemblies appear as MMA members, they are recognised as belonging to their respective parties in the Senate. We have counted all of them under the MMA. The same is the case with the PML-F which has one senator and which joined the Grand Democratic Alliance (GDA) to contest this year’s general election. The GDA has three seats in the national legislature and 14 in the Sindh Assembly (five votes). Do we really need a president? Prime Minister is enough to run the affairs. Expenses of President be transferred to the Dam’s Fund. Great article which has been throughly researched and analysed by the author. Well done and keep it up. The role of the president is important even though it’s only ceremonial. So imagine the so called Maulana Fazal becoming the president of the country. His ever changing loyalty, lack of credibility and above all non one really wants him to have any national level role for the country. So why on earth the so called alliance even considered him for this prestigious role where his credentials doesn’t even meet the minimum standards required by this role. Shame on the alliance for choosing such a candidate. Great opportunity for Arif Alvi to live austerity by giving up on president house and cut down expenses. Just a game of numbers but no discussion of who qualifies to the powerless position of President. Mr. Alvi will be the best choice in the present circumstances keeping in quorum with the progressive agenda of PTI in all other Institutions. Maulana Fazal is nothing but a spoiler in the progressive affairs of the country..
PM is the chief executive and not Head of the state. A good analysis. Maulana Fazlur Rehman is the best contestant. He must be supported. Both the other contestants are business minded. One is heading the most expensive dental clinics, another heading most expensive law firm, which defend high profiles against corruption and money laundering charges. None of the candidates for the presidency fulfill the caliber required for this post! @Jalil Yousaf That is an excellent suggestion. What do we need a President for ? What was ever achieved by the previous one ? Sheer waste of money n all the benefits that are squandered with it. Let us utilise the funds for more urgent n pressing issues .... health,education,debts ...the list is endless! @Jalil Yousaf : Might I recommend educating yourself with the dynamics of a political, state and governmental systems before firing off illogicals? In a parliamentary system of goveranance, the head of a sitting parliament is the Speaker of the Assembly (and for extra info: the PM has no authority over the Speaker), the head of the government is the Prime Minister and the head of the state is the President. (For another extra info: the "government" comprises the Cabinet and the Ministers of the State. It does not comprise MNAs.) Hence, you cannot just say that you don't want a President! If you don't want a President, then first amend the constitution to change the system of governance in the state. @George "None of the candidates for the presidency fulfill the caliber required for this post!" - Explain please. pointless saying something without reason. "Caliber Required"- What are the requirements?